One of our first Awesome Foundation in DC went to Experience Counterpoint, an experimental chamber orchestra. 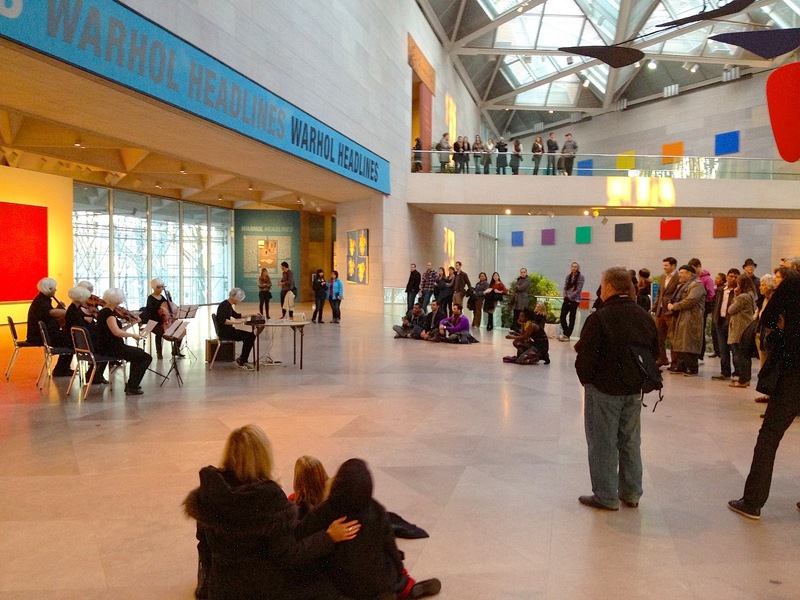 Now, after much scheming and planning, their guerrilla “flash mob” style performance of Audio Warhol was performed yesterday at the Andy Warhol: Headlines exhibit of the National Gallery. 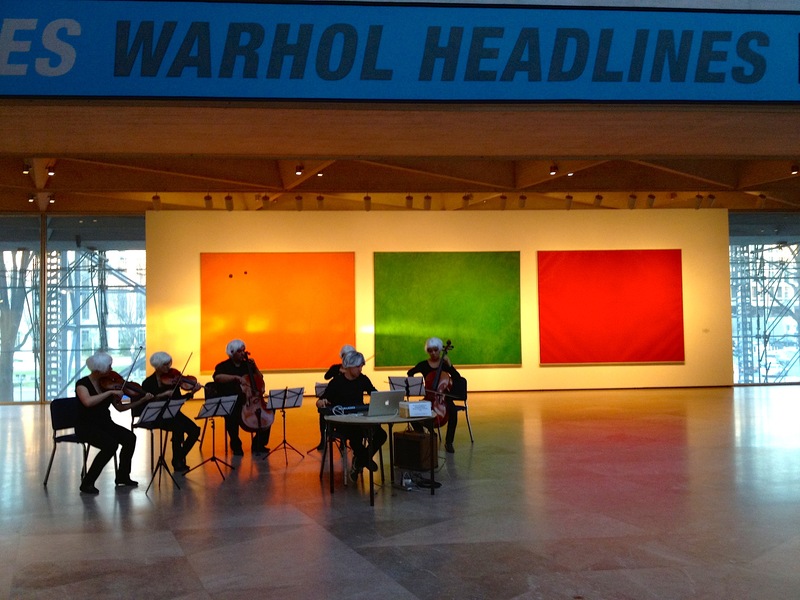 Dressed as Warhol doppelgangers, the actors, musicians and DJ performed a musical/multimedia event inspired by the work of Andy Warhol based on Terry Riley’s minimalist work In C.